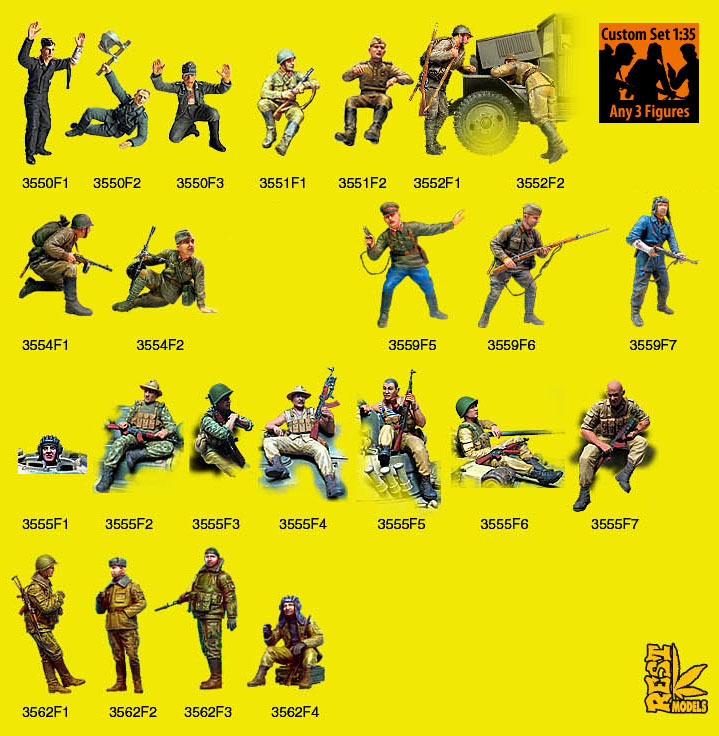 Figure: Custom set 1:35. Any 3 Figures. Create your own set of figures 1:35! 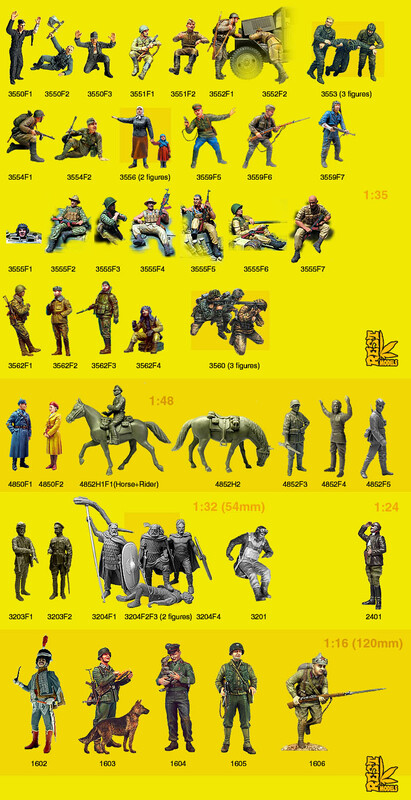 Choose any three figures 1:35 from our catalog. (Click on the picture to see catalog). Write the figures catalog numbers in "Special Instruction" section, when you will pay.